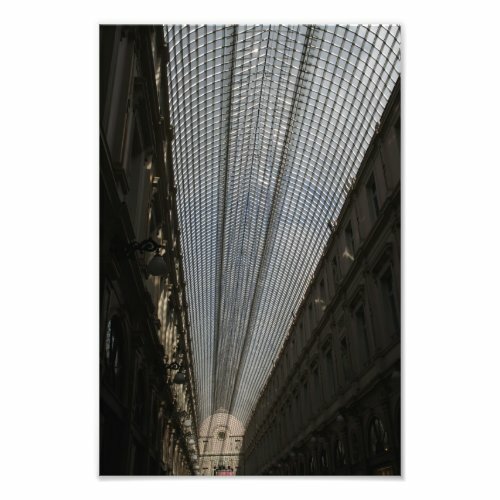 The Galeries Royales Saint-Hubert is a glazed shopping arcade in Brussels. Built in the 1840s, it is one of the oldest of its kind in the world. The photo shows the glass paned, arched roof.